Green Mark Build coordinates the construction of your home from “start to finish”, orchestrating all of our resources such as architects, engineers, interior designers, pool specialists, landscape architects, lighting designers, audio & video technicians, and a variety of other trade partners to make certain our homeowners have only one point of accountability. Our design build process offers a superior alternative to the most common residential building approach; traditional design, bid and build procedures. Our talented team of the finest architects, designers, and tradesmen work synergistically to create a design specifically matched to your idea of the perfect home. This process offers a reliable building method which streamlines all aspects of construction, creating an enjoyable and hassle free experience for our clients. Walking into a Green Mark home you will immediately see the quality, value, and premier design whether you choose our recently completed models or work with our custom homes division; we deliver on our promise of complete customer satisfaction. Many home remodeling projects have incredible potential to change a house into a dream home. Green Mark Build ensures that a quality plan is in place to meet a variety of our client’s unique home remodeling needs. During our initial home consultation we help expand on early ideas as they are established, helping to formulate a plan that meets specific needs while reaching maximum potential for your home. We recognize our client’s need to maximize their homes to suit their lifestyle while remaining in a cherished location. 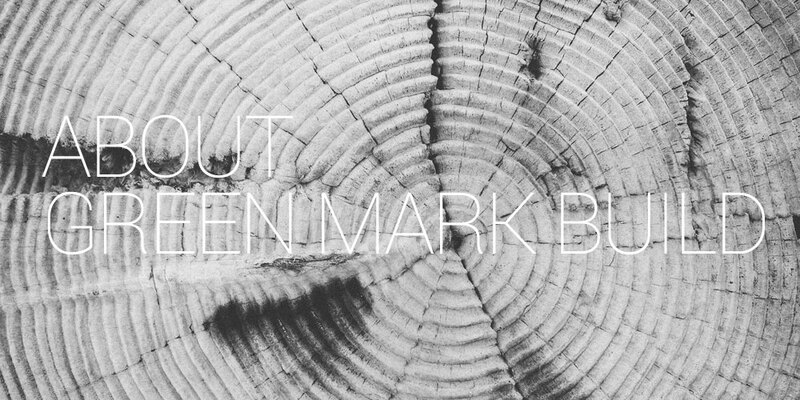 Insight, innovation and a ceaseless professional working model are key components that set Green Mark Build apart. With a diverse experience in traditional, contemporary and modern designs, new work is blended with the old, creating a seamless final product. The transition period during every home improvement is made with ease. Commercial projects demand a higher level of technical expertise and knowledge than any other. Green Mark Build brings this understanding to the broad majority of specialized building systems and applications involved in commercial construction. Coupled with broad experience in code conformity and quality craftsmanship, your project is built the right way the first time. From restaurants, to retail, to offices, to the unusual and the uncommon, we make every hour of every day count in commercial construction knowing that our deadlines translate directly to your business’ successful opening. We provide value engineering and assistance with design budgeting in the early phases, working as a team, to build a project that reflects the passion and energy that went in to it. The most important part of any successful project begins with aligning expectations. This involves translating your vision into a detailed scope of work with accurate plans, schedules, & cost analysis. A vision is only a thought without the proper tools and roadmaps. During the design process we provide distinctive architectural design combined with the professional attention to detail that is necessary in the conception of lasting, beautiful homes. From permitting & submittals to detailed scopes & specifications; each project is set up for success by taking the necessary time for preparation. Our thorough pre-construction process has resulted in fewer delays, proven quality of work, and exceptional service. Having valued, long-standing relationships with our many trade contractors, artisans, and suppliers is a vital element to our success. Green Mark Build works with these talented individuals and companies, directly and indirectly coordinating hundreds of people in the creation of your dream home. Financial accountability is always the central focus of any project. During the building process, we meticulously account for our homeowners’ invested dollars so there are no financial surprises or misunderstandings upon completion. Throughout the process, we work with our homeowners to make sure they know where their investment stands. Because a majority of our work is referral based we understand the importance of developing lasting relationships with our clients. We attain this through our matchless efforts at the completion of your project. From our comprehensive walkthrough’s to our responsive warranty system, we ensure absolute satisfaction upon completion and for years to come.